DEAN STOCKWELL’S EYEBROWS | Why Does It Exist? Oh yeah, there’s an inexplicable samurai in this. The Pacific Connection is the classic tale of a man who has two sticks and an overwhelming desire to whip bad guys in the nards with them. 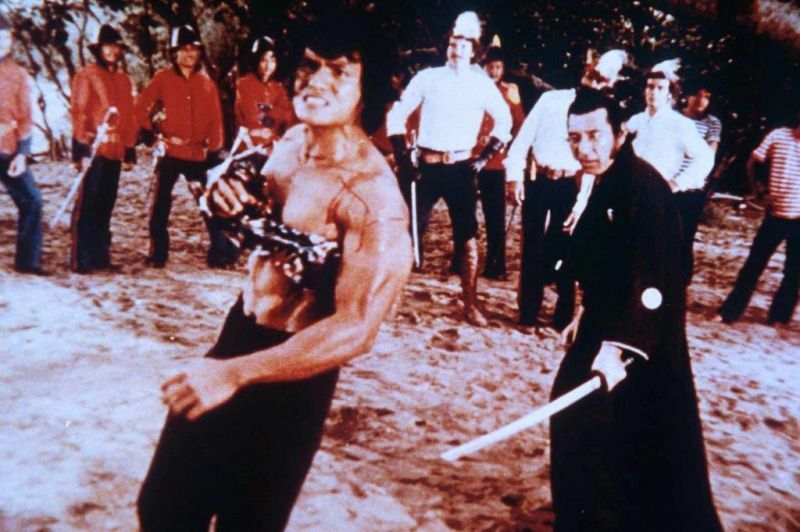 This weirdly enthusiastic Filipino martial-arts movie is a veritable who’s-who of actors who’d do anything for a paycheck (and by that I mean mostly Dean Stockwell) furiously furrowing their brow while a shirtless guy attempts to whack them senseless. It’s almost bad enough to be fun, but also filled with repetitive and mindless fight scenes and a weird blind hippie who stumbles around giving people healing herbs (OK, that last part is pretty cool). Despite being obscure enough that I had to whip out the VCR to watch my copy, it’s actually available in full on YouTube – I’m almost certain that whoever holds the rights to this won’t mind or notice. Music this week provided by FRIGID. Their song ‘Flesh’ off the upcoming double album ‘Violence of the Heart’ be found here.